hereafter referred to as "the Club". Committee to administer the Clubs activities. A.G.M. and hold office for one year, but be eligible for re-election. officers subsequently co-opted by the A.G.M. or the Committee. the club welcomes players all ages and standards. b) Members will be obliged to pay annual subscription, set at the A.G.M. 11 must be accompanied by an adult at all times. unless the Treasurer agrees that there are extenuation circumstances. deemed by the committee to be exceptional. not less than two weeks before the meeting. required. Voting will be by a show of hands. submitted to the Secretary not less than 4 weeks in advance of the A.G.M. and circulated to members together with the written notice of the A.G.M. - the setting of a subscription rate for the coming season. between members. or to approve the purchase of equipment by the Treasurer. c) Such meetings will be chaired as per rules for the A.G.M. clubs and external organisations in a cordial manner. 8. The Constitution of the Club shall be posted on the Club Website. any given year the club championship will not take place. A Lightning Competition, open to all Members. within the terms of the Constitution, for each playing season. Unless amended as above, the Rules for each season will apply to the following season. car park charges from 7.30pm to 8.00pm. then it is free parking. The main playing room is a non-smoking area. 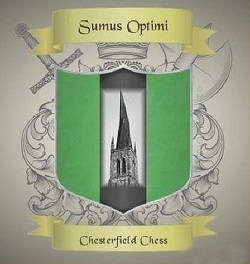 matches against other Clubs, but may continue to use the Club for social chess. agrees that extenuating circumstances exist. Club may be charged pro-rate Fees depending upon the date of joining. by the President and/or Secretary. undertake to observe and abide by the "Constitution and Rules" of the Club.